What is SkyStem ART ? ART is an accounting software that is available both in web-based and SaaS versions, so installing anything is not necessary. With this automated accounting tool, your can benefit from advantages like real-time updates, automatic reporting, automated reconciliation, quick implementation etc. Users can have their own internal server to enjoy an unlimited and easy access anytime. 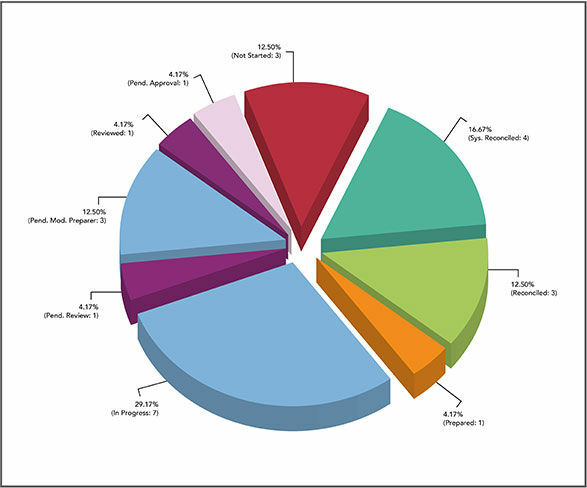 Art offers a deeper insight into the balance sheet and with its robust workflow management features, makes the job a lot easier. This accounting tool provides real-time tracking and ensures a hassle-free audit. This is a software of choice for month-end close and reconciliation automation. How much does SkyStem ART cost ? SkyStem ART provides a custom pricing for their software. Disclaimer: The pricing details were last updated on 23/05/2018 from the vendor website and may be different from actual. Please confirm with the vendor website before purchasing. Pros: I liked the capability to attach documents to the recon. It serves as an efficient depository. Cons: The most annoying thing about the software is the speed. Updating is very slow. Pros: The ease of use. 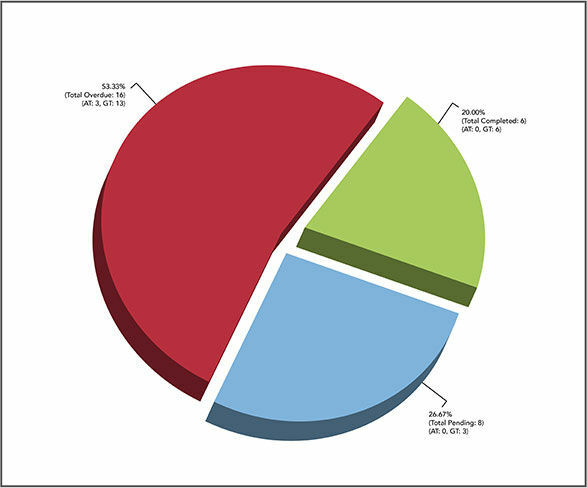 I also appreciate the pie chart showing your progress of completion of recs. Cons: Being kicked out in the middle of completing a rec. Overall: I think it's great, saves a lot of time and keeps the recs in one place, organized and ready for auditors. Pros: The software allows many accounts and tasks all to be in one place. I know when they are done or partially done. Organized and consistent. Cons: It is possible to ADD a task where might not want it, because the headers are small. ADJUSTMENTS TIMING DIFFERENCE SUPPORTING DETAILS are too small, and time gets wasted. Overall: Goal is to reconcile and record account reconciliation for our internal and external auditors. We are more organized and consistent. Pros: I like that I am able to go into ART and pull information in relation to reconciliations without having to bother staff for the information. ART allows for attachments to support the reconciliations and that support is critical to my auditing. Cons: There are multiple areas where attachments can be added. As such, I have to be careful to look at all areas to make sure I have all pertinent attachments. Overall: Overall, as an auditor, the tool is an awesome enhancement for my purposes. Pros: Have not had a feature that stood out as something that is likeable other than it is a tool that appears to work. 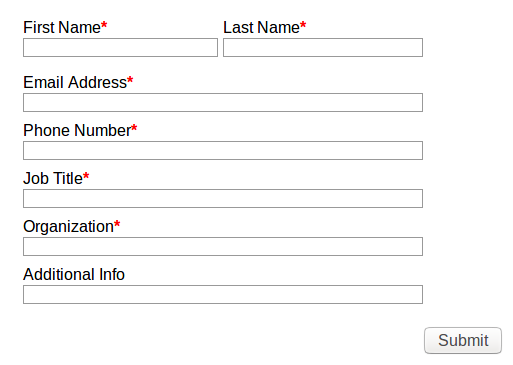 Cons: 1) It can't or doesn't remember your log-in ID so you have to type it in each time. Other programs will at least remember it and only the password is needs to be entered. 2) User's can load another month's recon until the prior month is reviewed/approved. Becomes a roadblock to processing and workflow as recon may be okay but reviewer just has not gotten to it. 3) Multiple step process to save and then submit a recon. If not aware of proper steps, then recon is identified as not being done when it is. If "submit" is clicked it should be the 1 and only step. 6) Going back to undo a step, e.g. take back an approval, sends it back to preparer rather than putting it in the "to be reviewed' stage. It was approved once and maybe it is just the reviewer that wants to make a change to the review note but it goes back to preparer it seemed from the occasional times this was done. Pros: In my role, I work with a lot of data - and ART allows you to upload the data for support to the account. Very easy. My supervisor can easily view it and approve it. Cons: I work with depreciation of group assets. 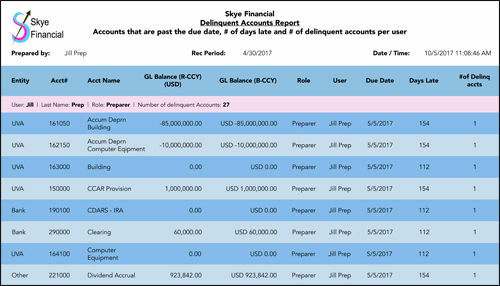 I would like to see if there is a tool to provide an account analysis for plant and the related depreciation accounts. Pros: Ease of Use. Setup was a bit challenging in terms of the re-occurring / auto-reversing transactions that are necessary. Cons: The ad-hoc reporting is a bit primitive / not as sophisticated as needed. Unable to traverse across fiscal periods for reporting. Hyperlink functionality between tasks would be welcomed and would assist in our productivity. Overall: From an Internal Audit perspective, ART works well as an archive facility. Pros: ART has been a great addition to our close process. We're able to get account recs done earlier, follow through on unknown or identified variances more easily, and get account recs and support to the auditors much better than before. I've used the leader in this industry at a past job and feel this software is as good at a much more reasonable price. Cons: Some reporting could be better, but this is a company that is willing to work with you and make changes. Way less red tape than at the others that we looked at. Overall: ART has made it much easier for us to get our account reconciliations done. We haven't started on their other features yet, so I can't comment much on those. The team at ART is great to work with. They respond quickly and are great at helping you understand how the software works and recommending best practices. I've been very happy with the purchase and looking back at the 4 or 5 other options we looked at feel that we picked the right one. Pros: It speeds up our internal process to approve and process electronic account reconciliations with an audit trail that is easy to follow. Cons: We did not start looking at using this service earlier. 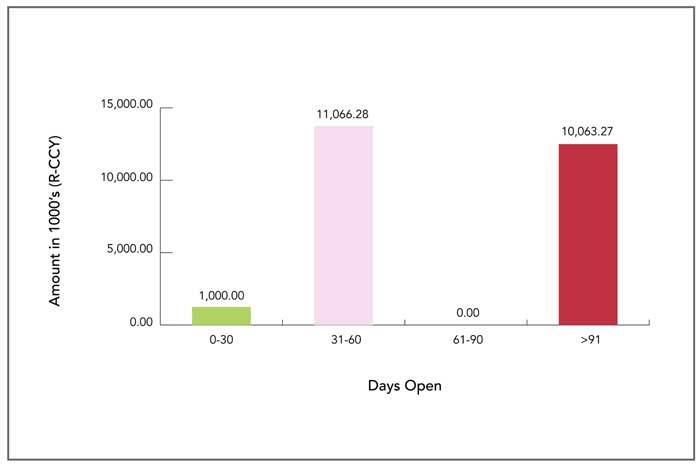 Overall: At a glance, my team can visually understand we are in a monthly close. It is a low cost way to host account reconciliations in the cloud for our auditors to access 24/7. The automatic account reconciliation process is the way of way of the future and I highly recommend researching this solution for your accounting department. My accounting department really likes this solution. Pros: I have not found anything that I like about the software. Cons: Copying files, too many clicks to submit, not being able to see the total amount for each account (multiple OU's), slow, reconciliation page is hard to follow. I used T-recs by Chesapeake for years at Vail Resorts. So much clearer!